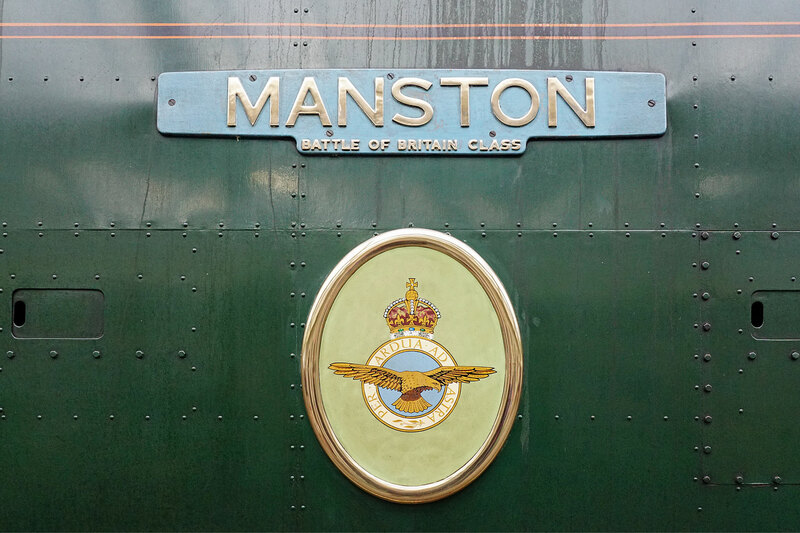 Manston is a Battle of Britain Class pacific built in 1947. 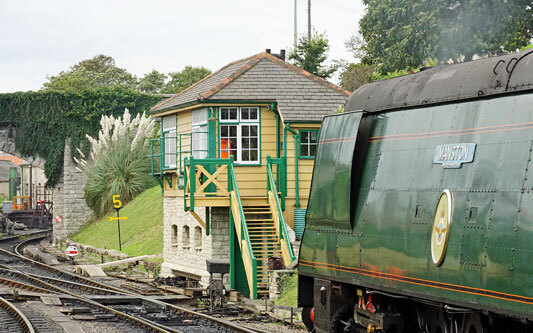 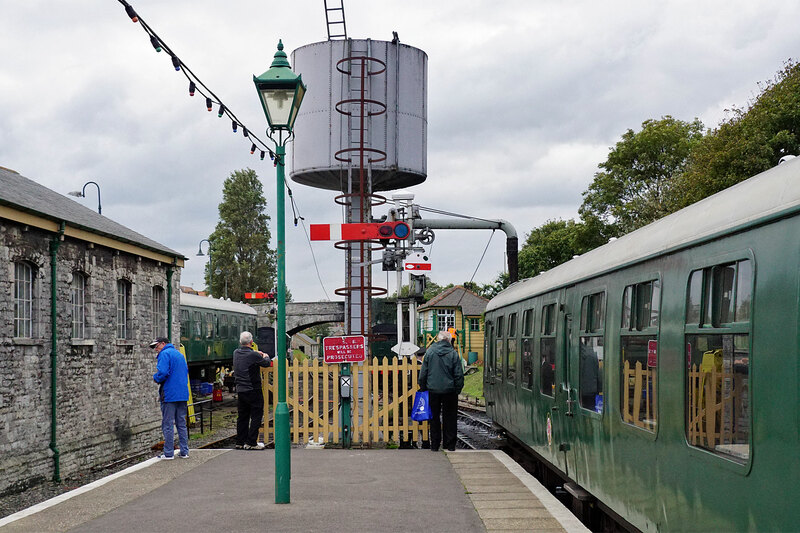 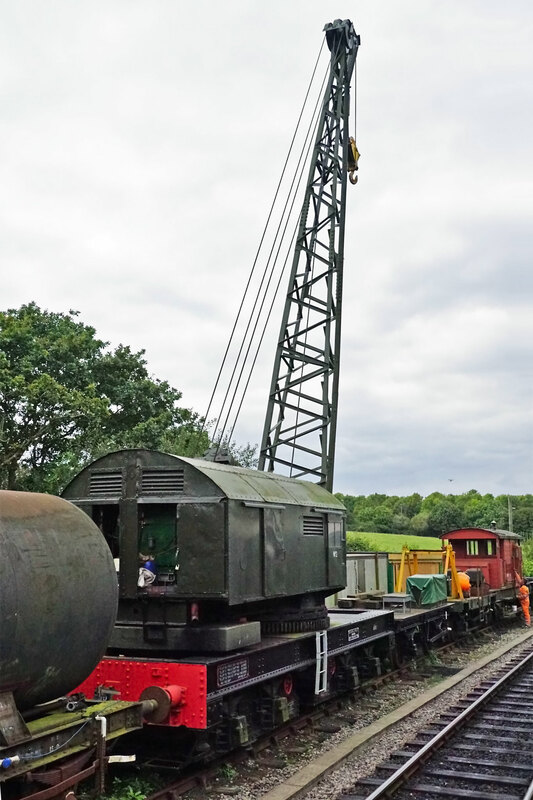 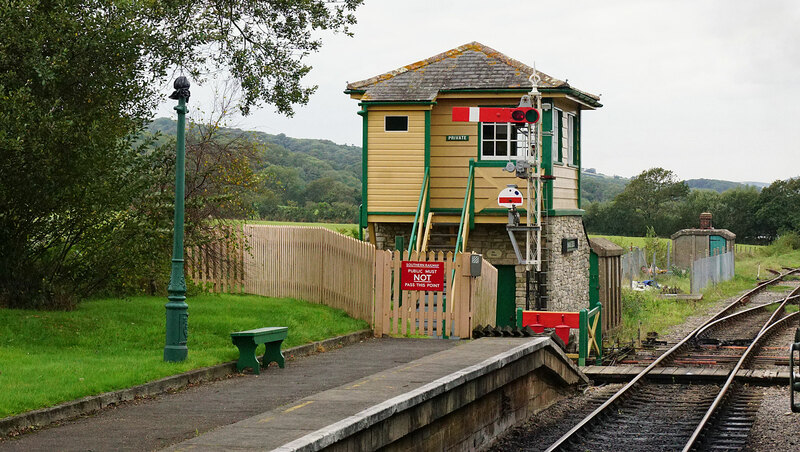 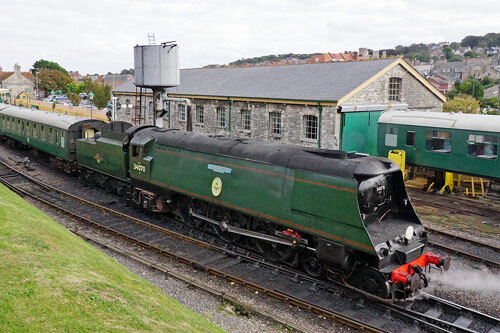 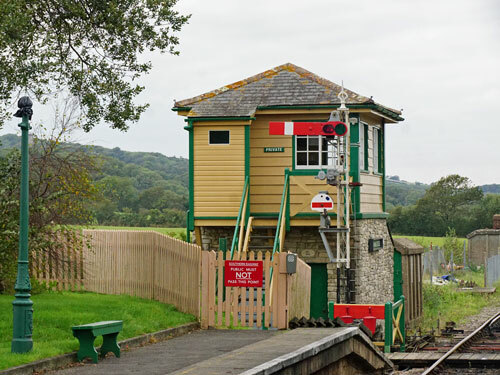 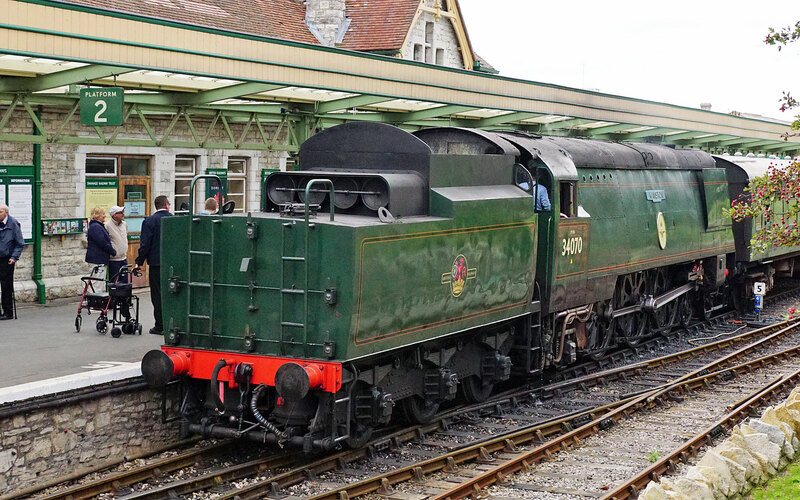 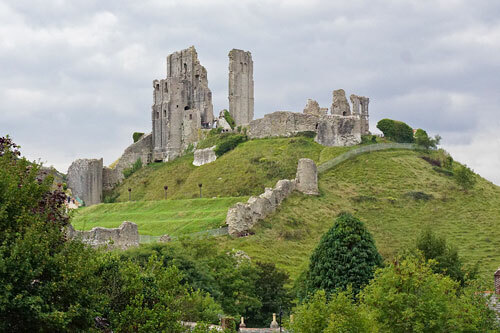 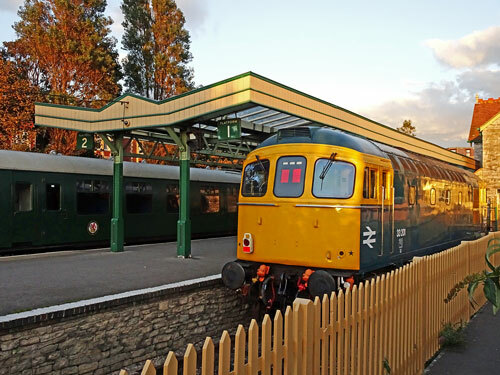 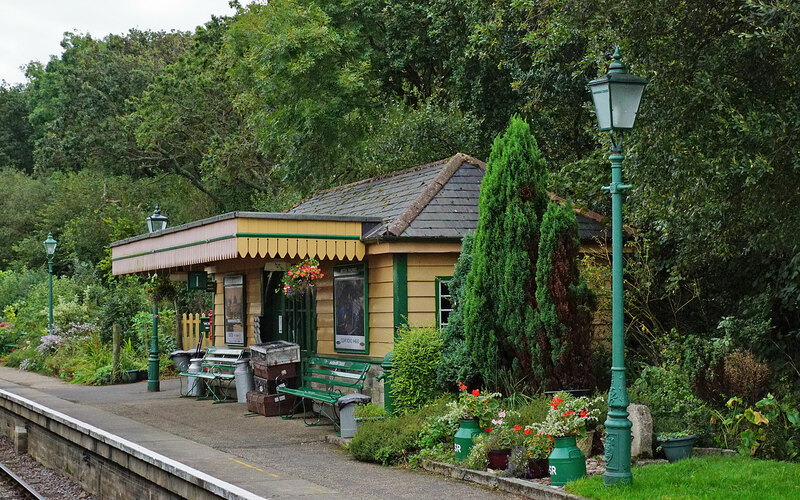 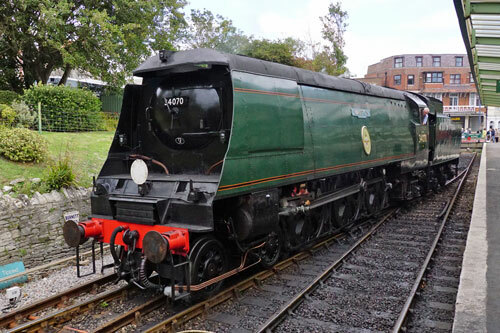 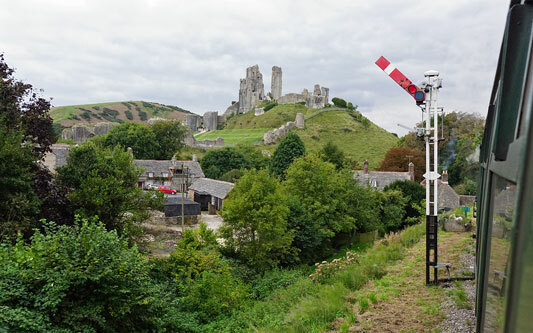 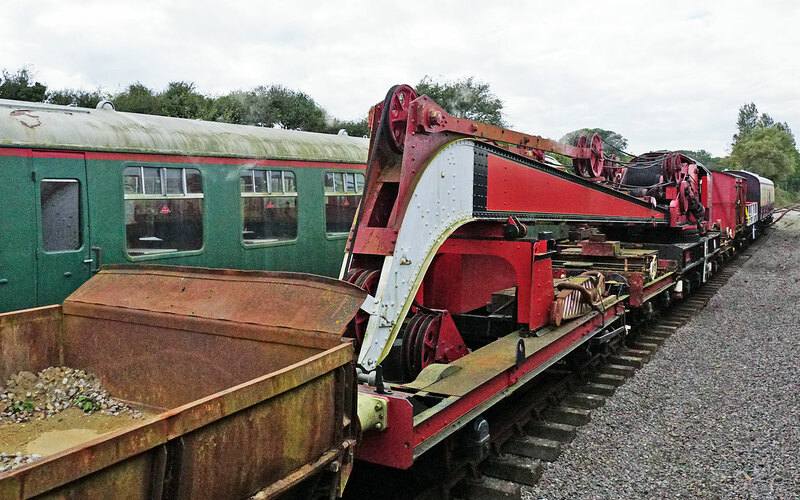 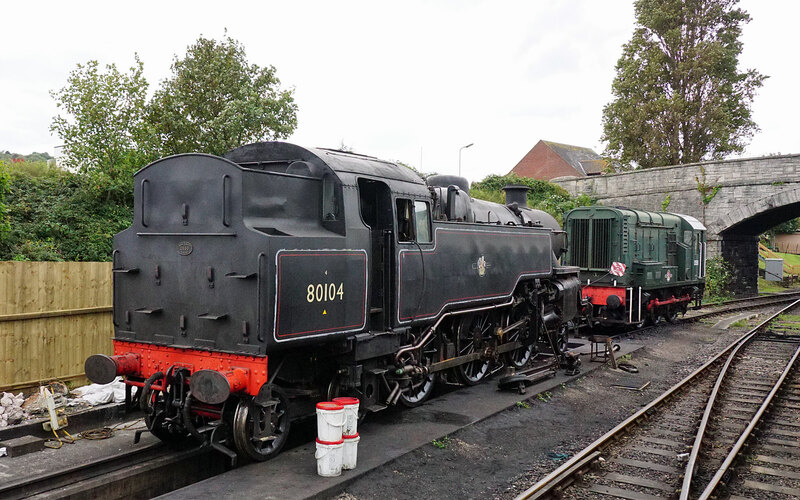 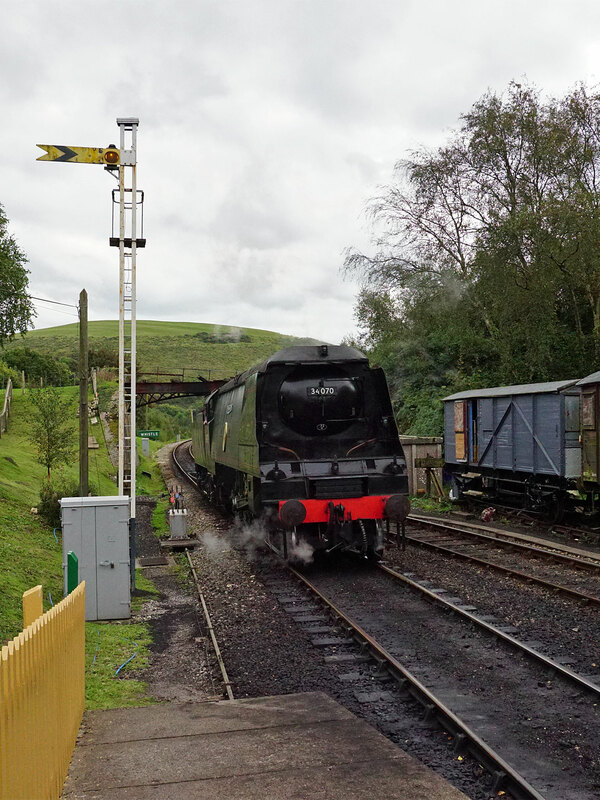 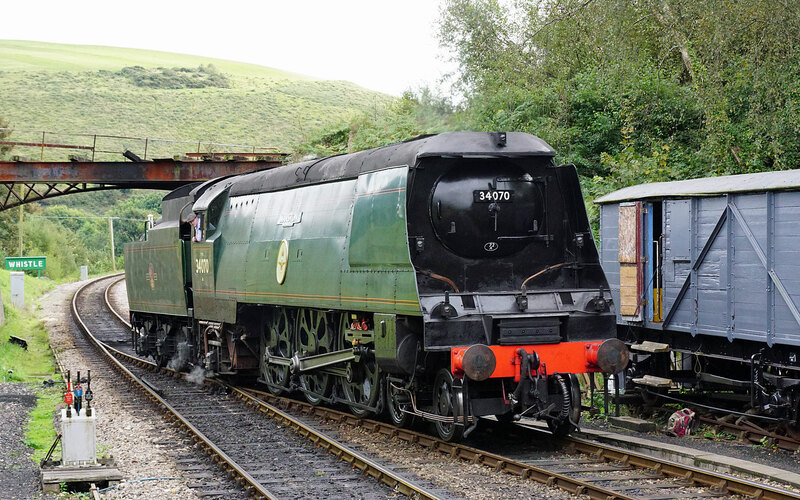 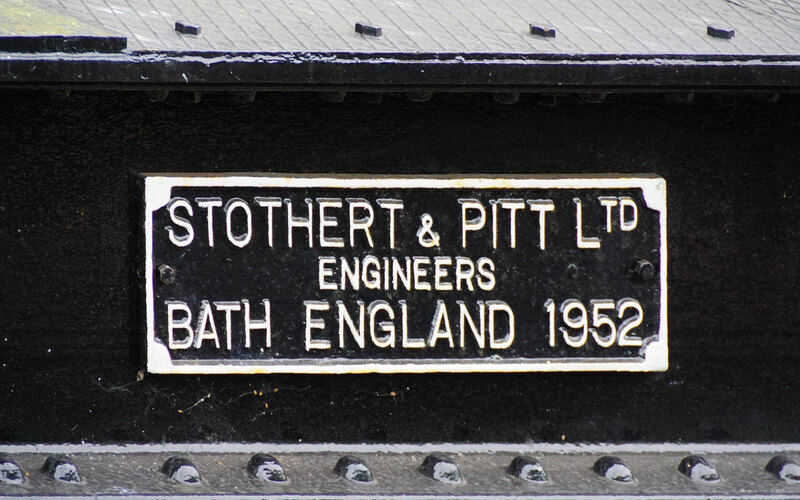 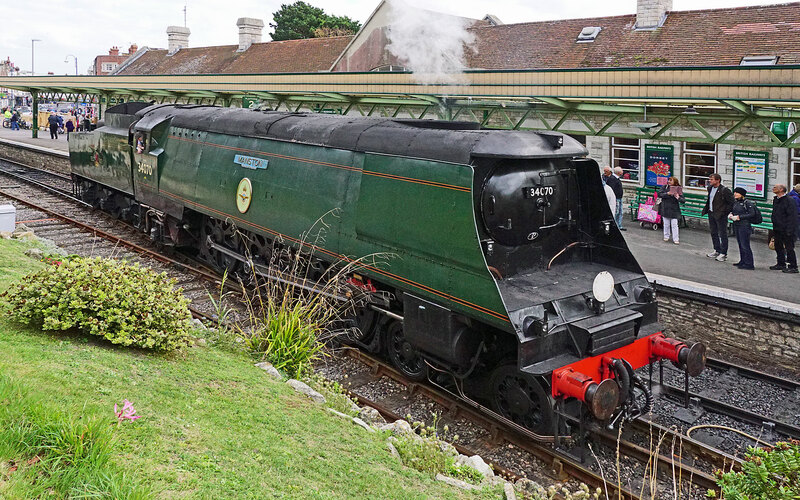 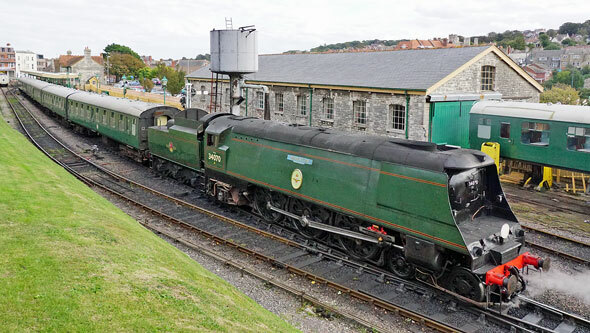 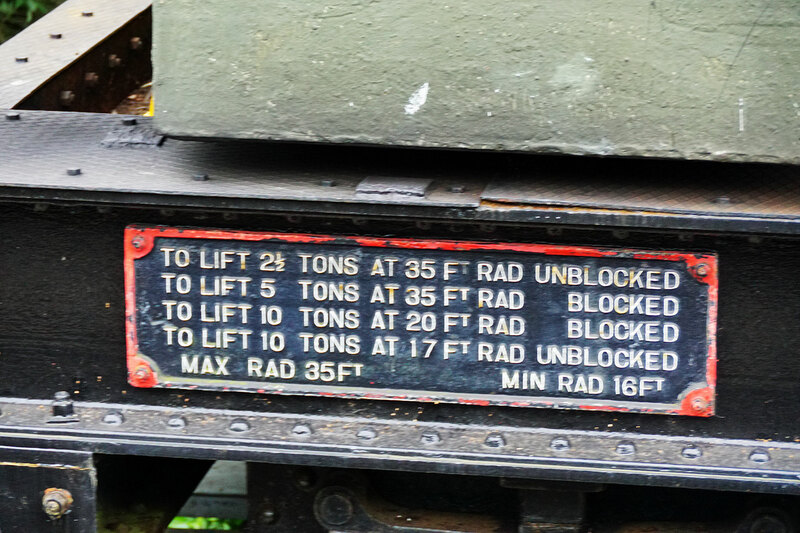 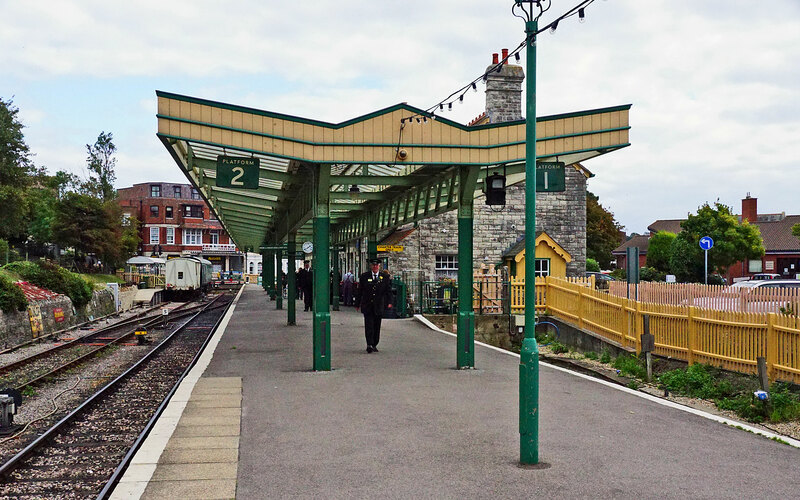 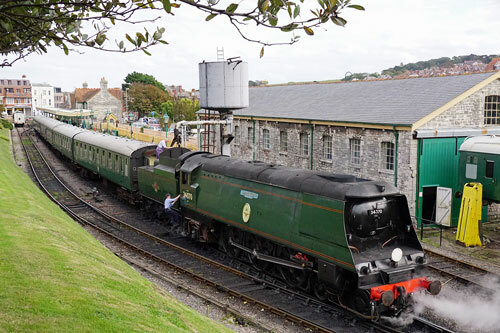 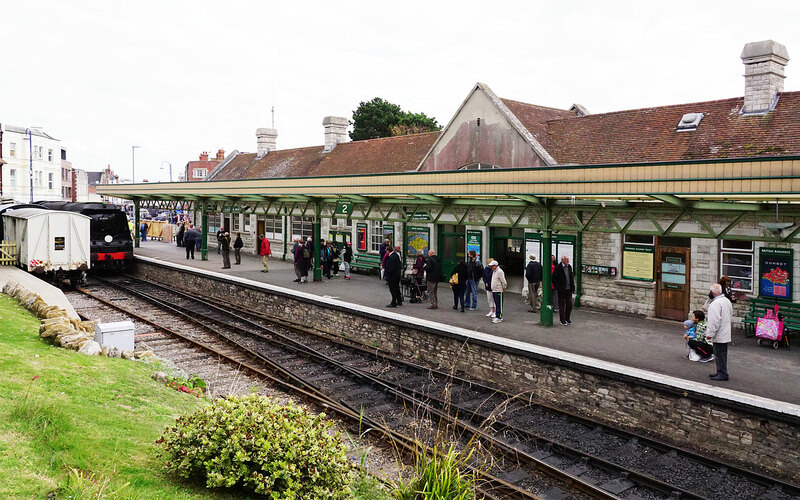 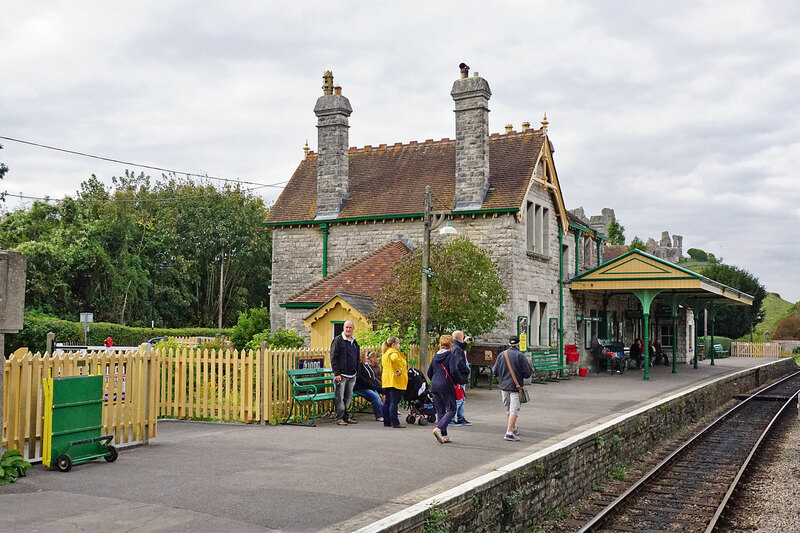 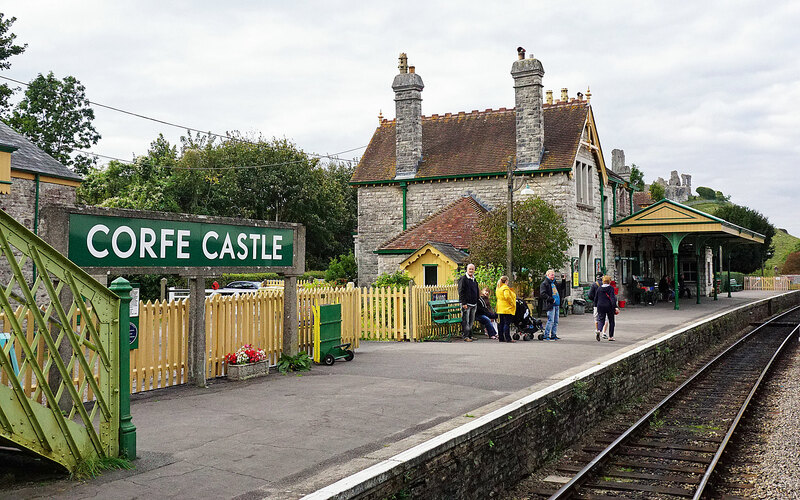 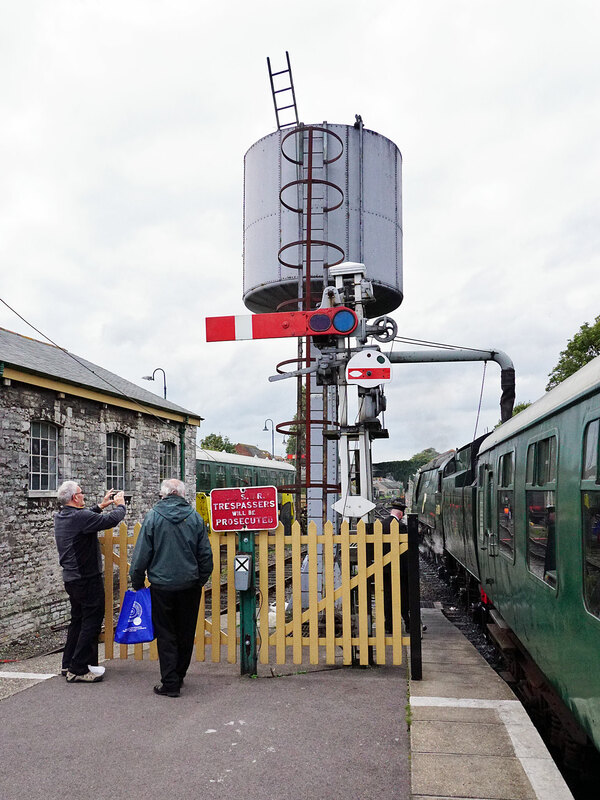 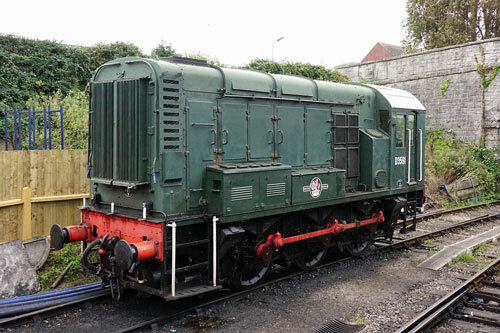 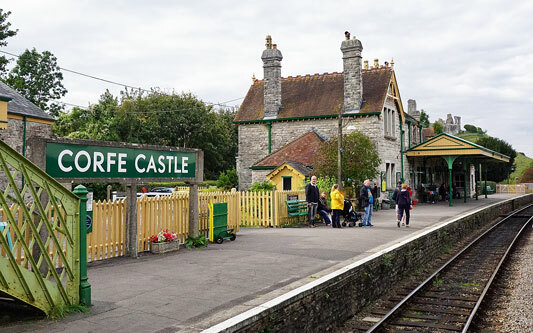 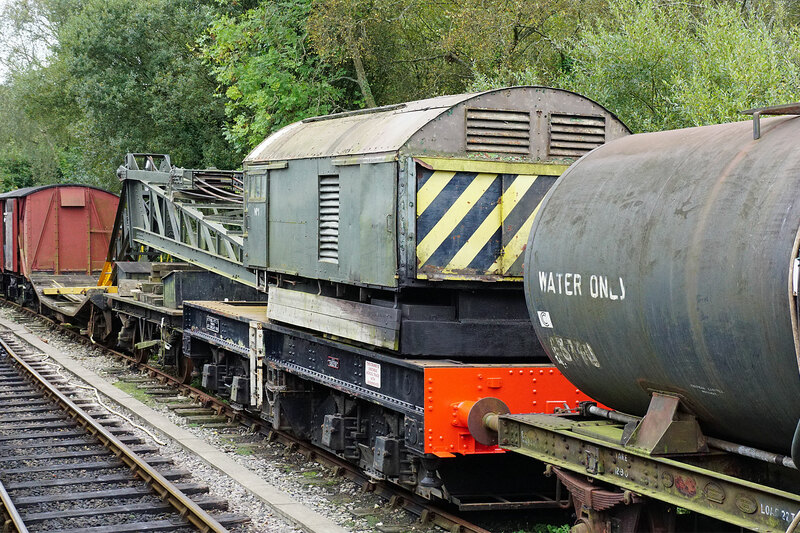 Returned to service at the Swanage Railway in 2008 and owned by Southern Locomotives Limited. 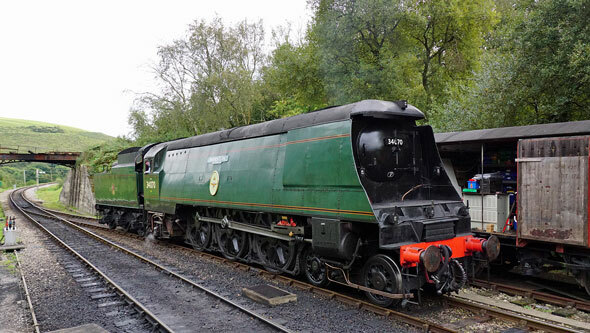 Boiler Ticket expires in 2018. 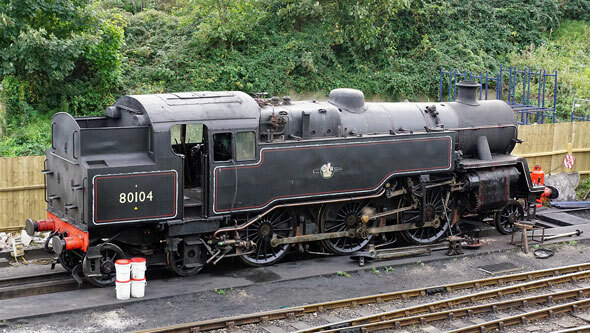 BR Standard Class 4MT 2-6-4T built in 1955. 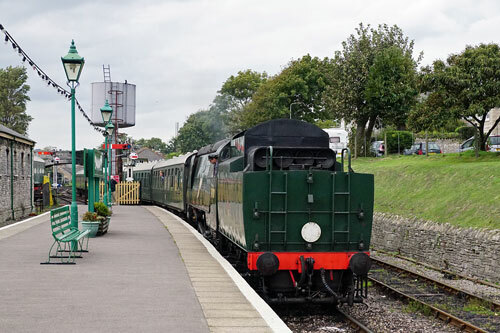 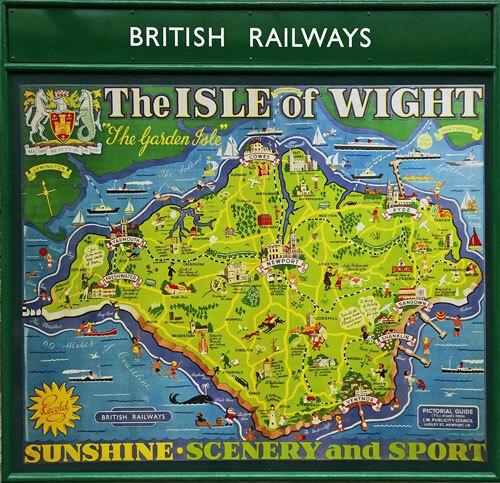 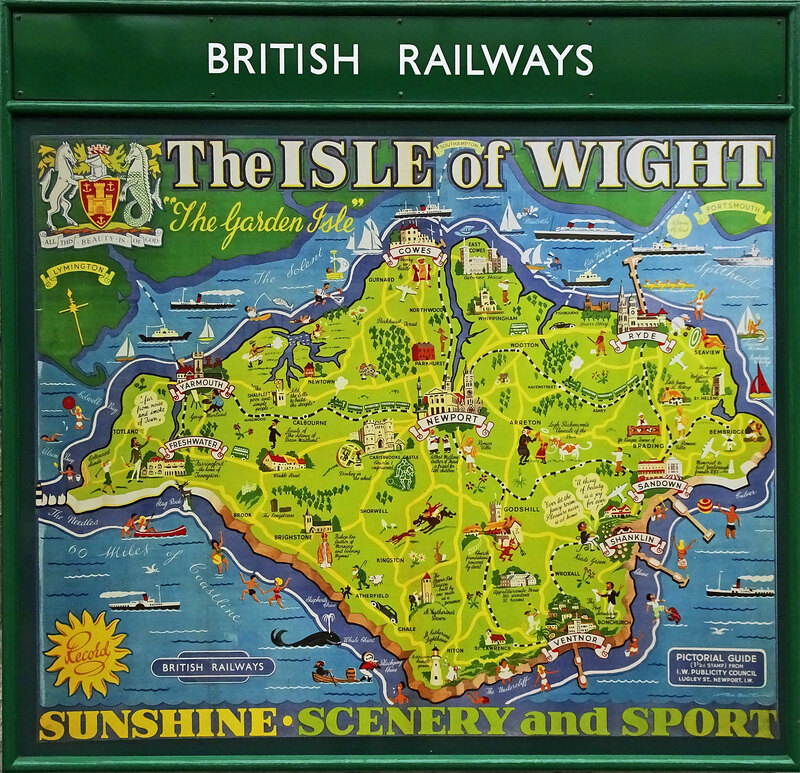 Arrived at the Swanage Railway in 1984 and owned by Southern Locomotives Limited. 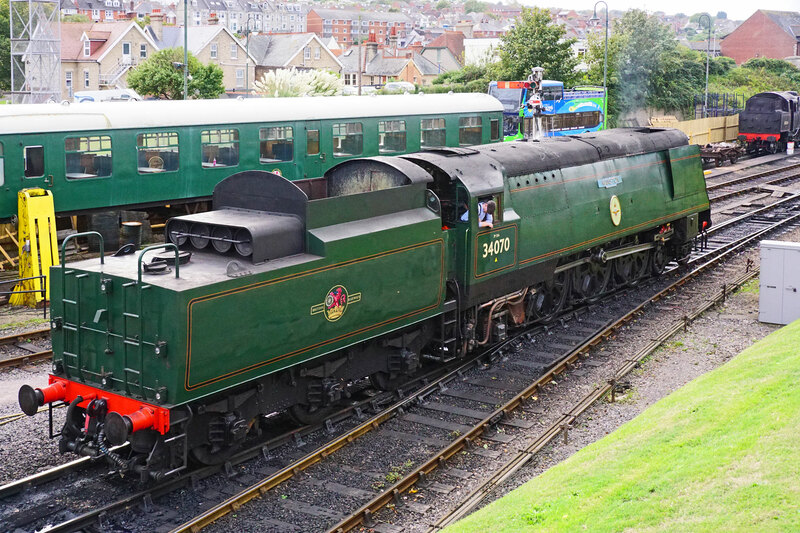 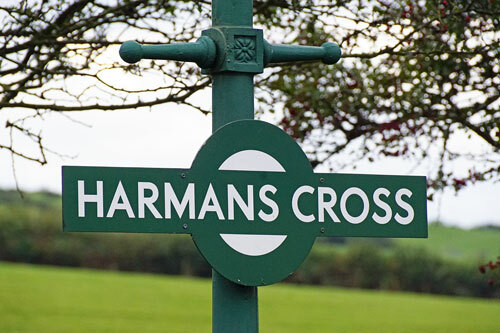 Returned to service after overhaul in March 2015 with a new seven year ticket. 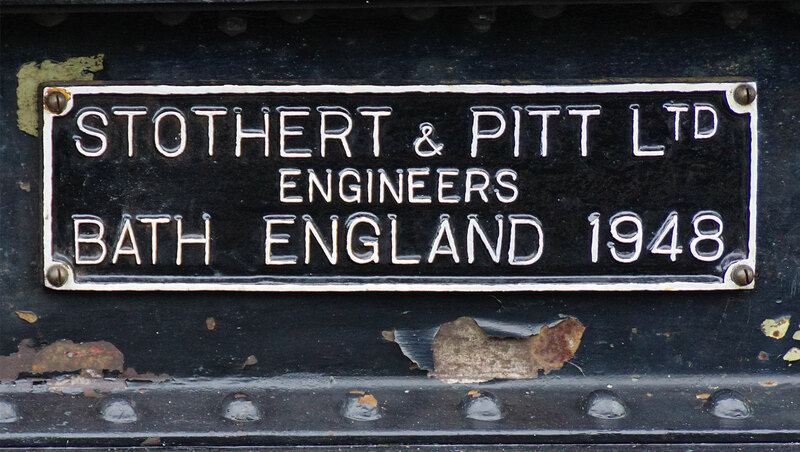 Ticket expires in 2022. 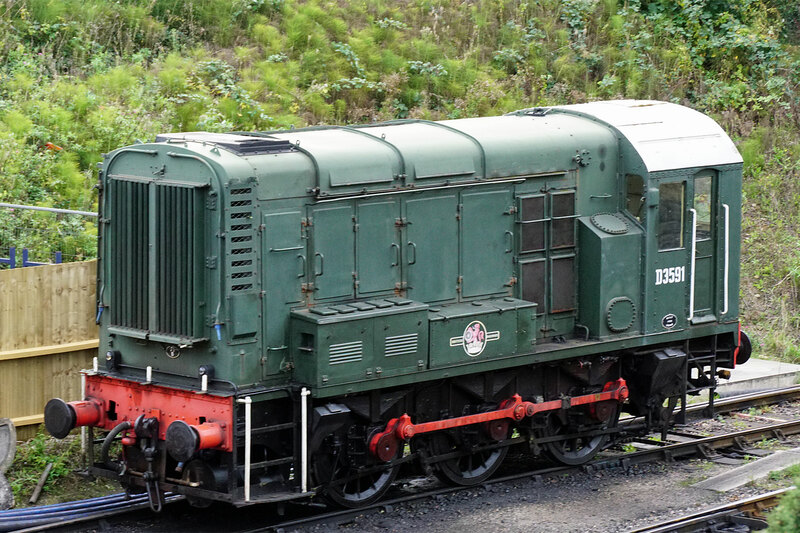 Class 33 number D6686/33 201 arrived at the Swanage Railway January 2015.